Well, we’ve had toys and plushes… the next stop is clothing! It’s the turn of Pixel Sonic (as Sega is calling him these days) to get the 25th Anniversary treatment, this time in t-shirt form. According to a Facebook user these shirts are available at a Japanese store called Shimamura. Like it? Hate it? Want it? Let us know in the comments. UPDATE: More T-Shirts have been discovered, see below. I hope these shirts will make way towards the US soon! Sonic 2 homage? I guess he’s more sassy in that sprite. Judging by Robotnik, I’d say Sonic 1. But he does tend to look more sassy in Sonic 2 For Some reason. Might be the color and tweaking around the eyes. I like them but I’d prefer a Tails one or a Knuckles one, personally. TJose shirts will more than likely be a thing eventually! These look really good though. 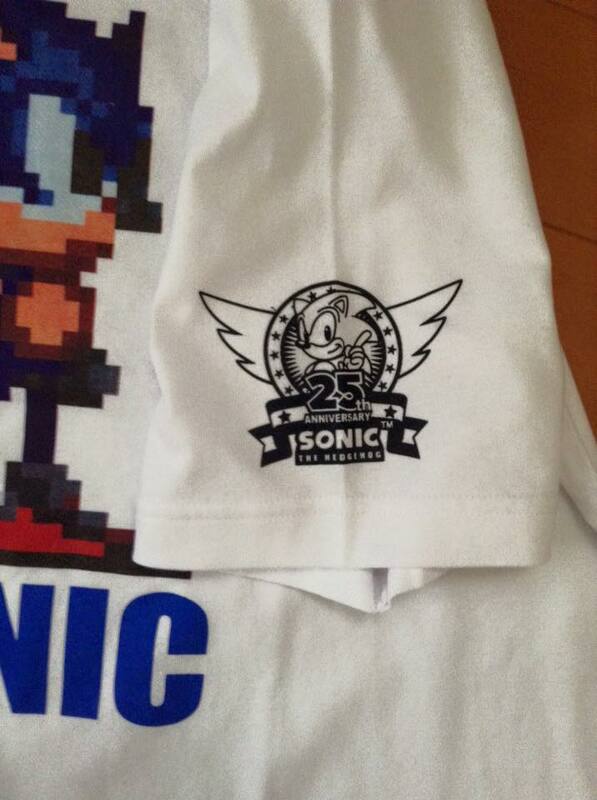 i was wondering if they are gonna do t-shirts for sonic’s 25th anniversary but now they did. Yup. That’s a pixel Sonic alright. Also, look how much he’s grown since being his cute little self in Generations! He looks older, tougher, cooler…. oh wait. That’s supposed to be what the one in Generations was based on. Hmm… they must’ve based Classic Sonic on the 2D artwork alone. Because he looks way older, tougher and cooler in this original sprite than in Generations. 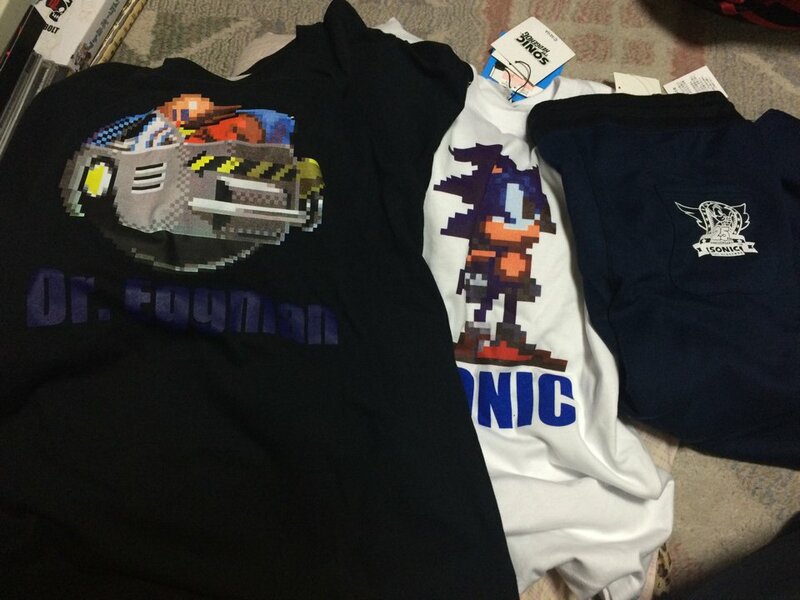 Awesome way to prepared Sonic The Hedgehog 25th Anniversary with Sonic The Hedgehog 25th Anniversary t shirts only in Japan supporting Sonic to be the best gaming iconic character back in the 1900s with his games coming out this year to be better than Mario. In my opinion, because I like Sonic 99% & Mario I like 90% so I have to go with Sonic is a fastest thing alive strongest to also Super Sonic form Hyper Sonic form from Sonic 3 & Knuckles which speaking of which I want more Hyper Sonic form future Sonic games please Sega you never ever use Hyper Sonic form from past Sonic games. I want a Sonic pixelated t-shirt! Even though it’s from Japan it still looks very vintage Sonic from the Genesis days. Is Dr. Robotnick really named Dr. Eggman in the Japanese Sonic games? I want a Sonic and Tails t-shirt since that’s the theme of Sonic 2 from the Sega Genesis era.